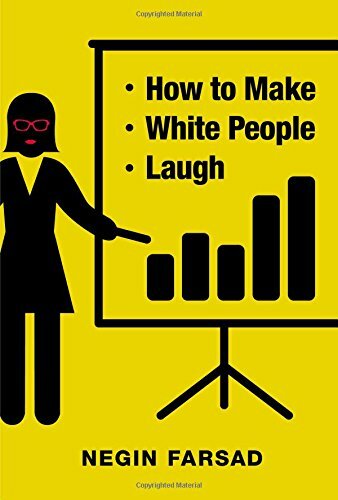 Negin Farsad definitely knows how to make this white person laugh. She’s bold, irreverent, and on a mission to educate America about Muslims. Her methods, which she calls “social justice comedy,” are delightful. Instead of approaching people with anger or impatience, she is all about making connections. Like the time she stood outside a Mormon church with a “Hug a Muslim” sign (she had many takers), or the time she and a documentary film crew talked to a man with an enormous Confederate flag displayed in his yard. Encounters that you might expect to be contentious end up being warm and friendly. Of course, like any stand-up comic, Farsad has dealt with her share of detractors and trolls (sometimes within her own demographic), and she writes honestly about those experiences. However, she has a remarkable capacity for optimism—she believes people can change their minds, and that one of the best ways to change minds is through personal conversation and connection. Her winsome cheerfulness was my favorite part of the book. I have a hard time staying positive in the face of ignorance and bigotry, but Farsad showed me there is a better way to respond to closed-minded people. Farsad’s humor is in the same vein as Key and Peele, the Comedy Central show starring Keegan-Michael Key and Jordan Peele, now in reruns. (If you haven’t watched it, get thee to YouTube!) Her perspective as an outsider to the black/white dichotomy of American culture echoes the sense of alienation that Key and Peele, both biracial, have expressed to hilarious effect in their sketch comedy. I would love to see a collaboration between the three of them—Key and Peele are already creating some sophisticated commentary on race and culture, but with a feminine angle, they’d be unstoppable. Other highlights: her list of sorority girl names (my favorite: Langley Pleats), her the-lady-doth-protest-too-much insistence that she’s totally over being rejected by Yale, and at the end of the book, an exquisitely timed reference to her enthusiasm for honey mustard. With regards to Grand Central Publishing and NetGalley for the advance copy. On sale May 24!